On January 8, 2018, soccer legend Tim Howard helped kick off the inaugural ceremonies welcoming the newest professional sports team to call the River City home. 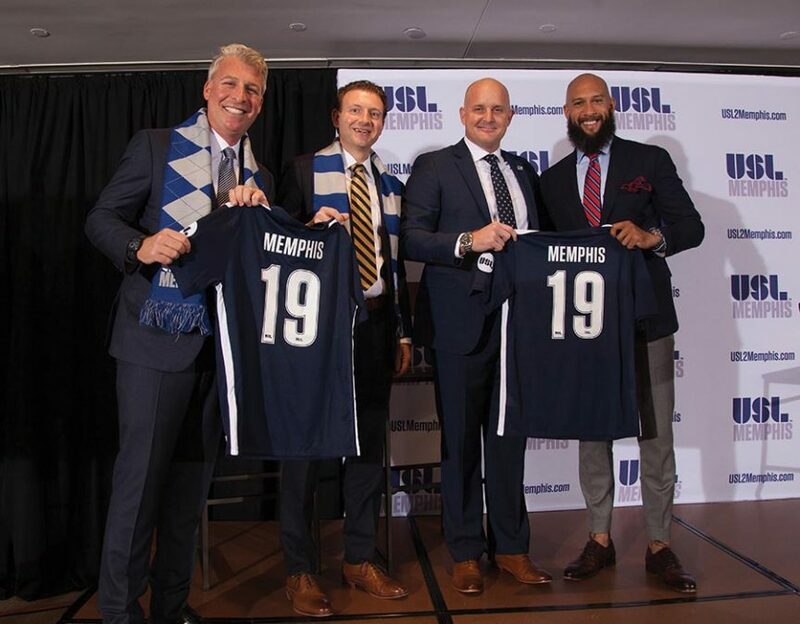 Principal Owner Peter Freund and Club President Craig Unger were joined by Memphis Mayor Jim Strickland and United Soccer League President Jake Edwards in announcing the founding of the soccer club in front of a raucous crowd of supporters. Bringing it full circle on September 1, 2018, Howard and his Colorado Rapids of Major League Soccer were the first team to take the pitch at AutoZone Park in the first outdoor professional soccer match in Memphis since 1980. 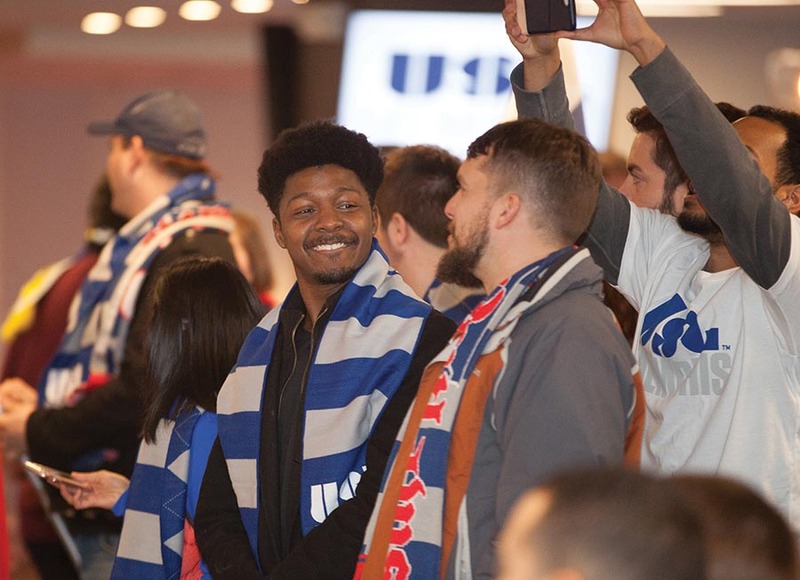 The “Soccer Showdown” exhibition match between the Rapids and Tulsa Roughnecks FC of the USL ushered in a new era of soccer in The Bluff City, and the team name, “Memphis 901 FC,” and branding were also unveiled that day. Memphis has long been recognized as a city with a growing passion for soccer that has developed in many ways, coupled with a history of soccer success both professionally and on the youth scene. Organizers felt it was the perfect market for a new franchise. AutoZone Park, in the heart of the city’s downtown district and home to the Memphis Redbirds baseball club, is the home field for Memphis 901 FC. The stadium takes on a soccer-specific atmosphere with the transformation to an authentic soccer experience, including food and beverage options, unique seating areas, and more to highlight the joy of the game and passion of its supporters. “When I first visited AutoZone Park before purchasing the Redbirds, I immediately recognized the potential for it to be home to more than one professional sports team,” said Freund. Memphis 901 FC is in very good company. The USL, headquartered in Tampa, Florida, is one of the most prominent Division II professional soccer leagues in the world, reaching a population of more than 75 million people to fuel the growth of professional soccer across North America. In 2018, the final season before the Memphis franchise joined, the 34 USL teams played 34 matches over 31 weeks in the regular season running from late March through mid-October. The nationally-spread league is divided into Eastern and Western Conferences and focuses on regional rivalries in scheduling. Memphis 901 FC joins the league alongside Austin, Birmingham, El Paso, Hartford, Loudoun, and New Mexico in 2019. Upon arrival, Memphis is part of a group of 10 current teams within a 500-mile radius of each other, including Louisville City FC, the Charleston Battery, the Charlotte Independence, Saint Louis FC, and the Swope Park Rangers.